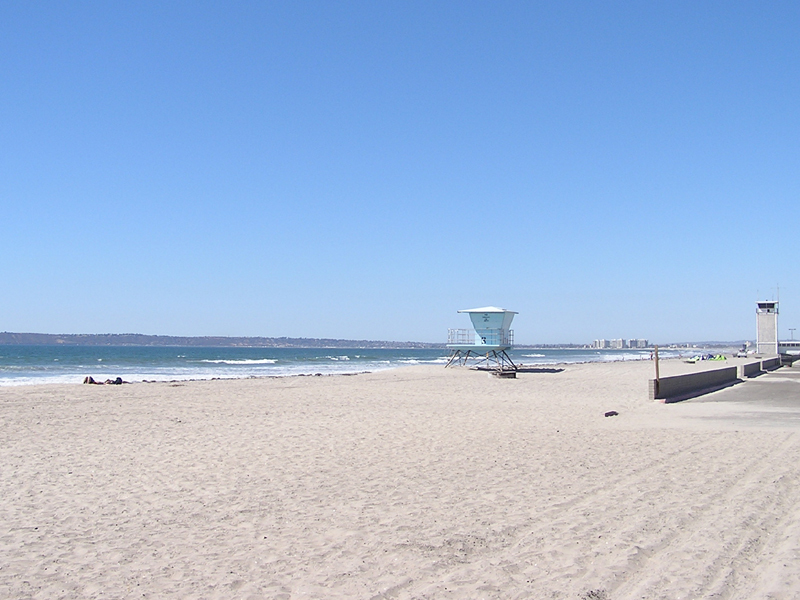 The beach is located 4.5 miles south of the city of Coronado on Highway 75. 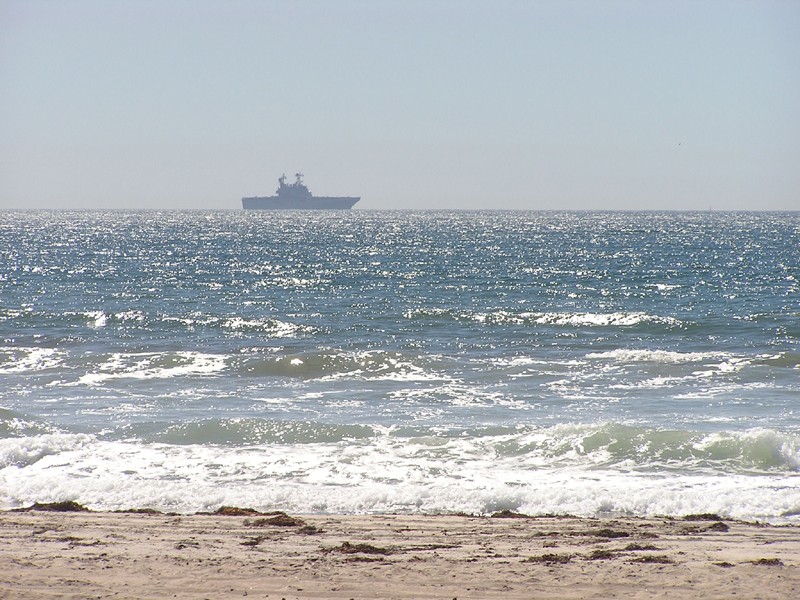 The park is located on the sand-spit that forms the outer edge of San Diego Bay between Coronado and Imperial Beach. 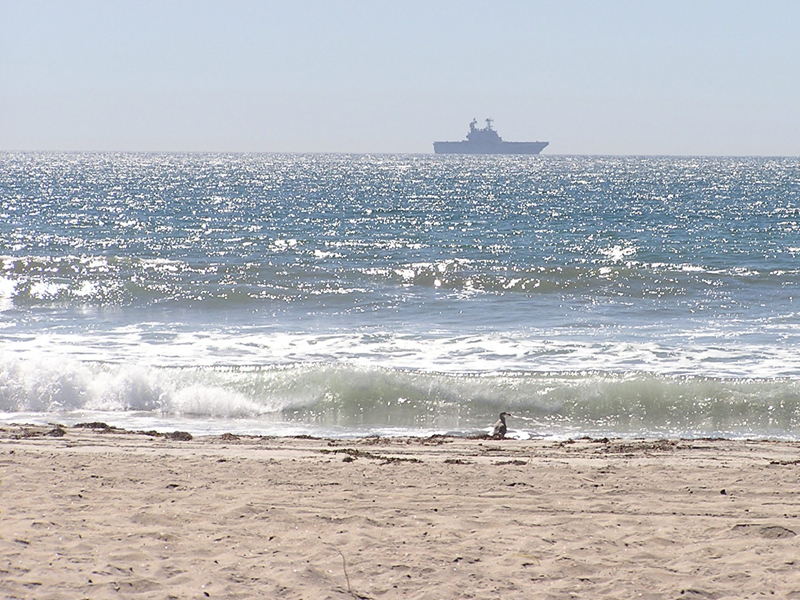 The park has 2 ½ miles of ocean beach and ½ mile on the bay. The entrance to the park is from Highway 75, which serves as a divider between the ocean side of the park and the bay side. Beginning April 1, 2018, there will be a $10.00 fee for use of the dump station in most California State Parks. California State Parks is partnering with Sani-Star, a provider of self-pay stations for sewage dumps, to secure the dump station and collect fees for use. Sani-Star accepts credit and debit cards right at the dump station. This Sani-Star partnership and new fee collection system will allow State Parks to control the sanitary dump station and prevent illegal use, in order to help us protect the environment. This partnership will assist State Parks in the recovery of rising fees from the sanitary and water districts and offset maintenance costs. This pay per use system allows us to continue with our low camping fees without assessing a dump fee applied to all campers, only those using the dump facilities will be affected. In the San Diego Coast District, the $10.00 fee for use is charged only to those that would like to use the group dump station located within our three State Park Campgrounds. This is a change from our current policy, which had included the use of the sanitary dump station with a campsite registration fee. This policy is in effect, starting March 1, 2018, at the San Diego Coast District Campgrounds including South Carlsbad State Beach, San Elijo State Beach and Silver Strand State Beach. Any Special Rules for Oversized Vehicles? In the high-demand units of southern California we must charge fees according to the space you occupy. If your recreational vehicle occupies two spaces, we offer an Oversized Vehicle rate. This fee is designed to recover revenue lost when an oversized vehicle uses more than one space that could have been filled by an additional paying vehicle. The fee will also deter large vehicle owners from expanding their recreational vehicles (RV) in a parking area, limiting space for other paying visitors. If the vehicle’s traveling length and width extend beyond two spaces, additional fees may be paid to cover the number of spaces occupied by the vehicle. Additional fees cannot be purchased to accommodate a vehicle’s extended size, or additional equipment or occupancy. Fees may only be used to cover the traveling size. Extending a shade canopy or additional equipment into adjoining spaces beyond traveling size is not permitted. Please conserve water when visiting the park; excess water usage affects future water supplies due to the drought and increases costs to State Parks. For Reservation issues, call 1-800-444-PARK (7275). Camping is available for self-contained recreational vehicles, motorhomes, or trailers only, per Coastal Commission regulations. Minimum requirement is a built in sink with an enclosed drain system, and a portable toilet with holding tank. Others will be turned away. Day Use Lot #3 is now available for campground extra vehicle parking. Have more space in your site! Special Rules and Pricing apply. Rate is $15 per night. 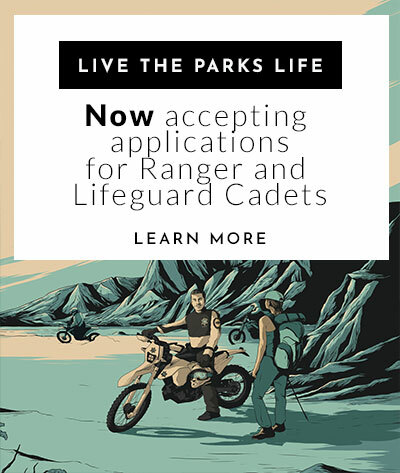 Contact the park for detailed information. Campground Check In Time is 2:00 pm, no exceptions. if you arrive early, parking may be available in the day use area for a fee. It is always a good idea to call ahead regarding operating hours, fees, and conditions, which can change. As of June 1st, 2016, all wood burning fires are prohibited on our State Beaches where established fire rings are not provided. View the full media release here (Media Release). At Silver Strand, wood fires are allowed only in provided fire rings. California drought restrictions have been lifted. We are in the process of replacing all water stations within in our state parks to ensure they are all in proper working order. We encourage the public to continue to conserve water. 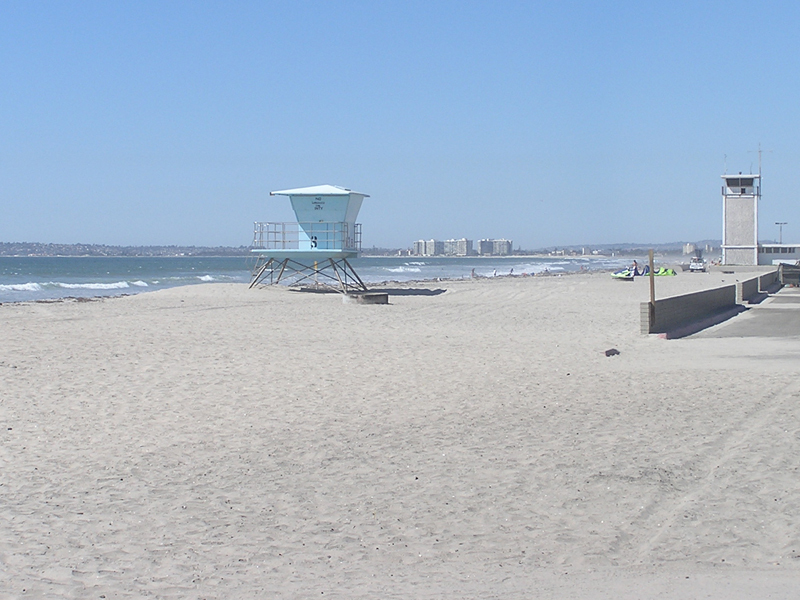 Silver Strand State Beach features extensive beaches on both the Pacific Ocean and San Diego Bay. 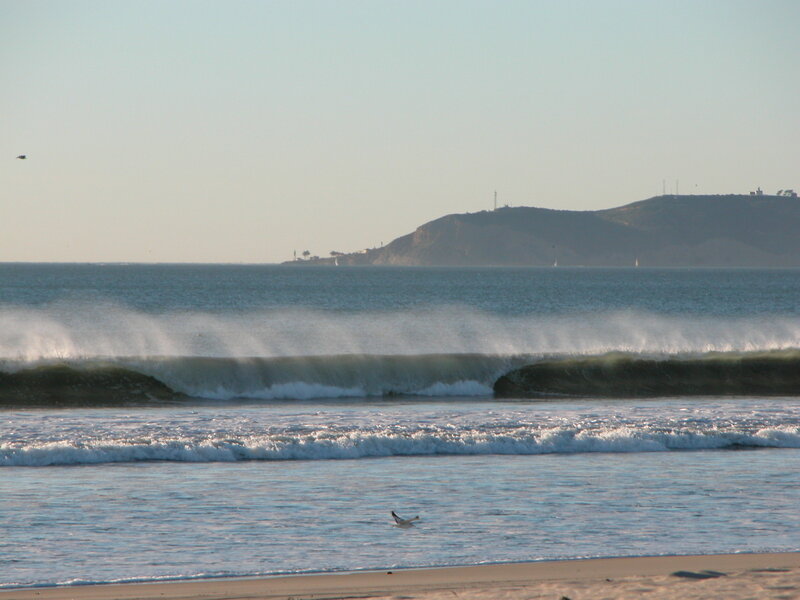 Combined with the area’s mild climate, the beaches make Silver Strand one of the area’s finest recreation destinations. Camping, swimming, surfing, boating, water-skiing, volleyball, and picnicking are popular activities. Anglers can fish for perch, corbina, grunion and yellow-fin croaker. Park facilities include four large parking lots, which can accommodate up to 1,000 vehicles. Restroom and cold showers are available on each side of the park. Beach restrooms are for Day-Use visitors. Per Coastal Commission regulations, campers must be in fully self-contained vehicles. Fire rings for cookouts are available on the beach during summer. It is always a good idea to call ahead regarding operating hours, fees, and conditions, which can change. 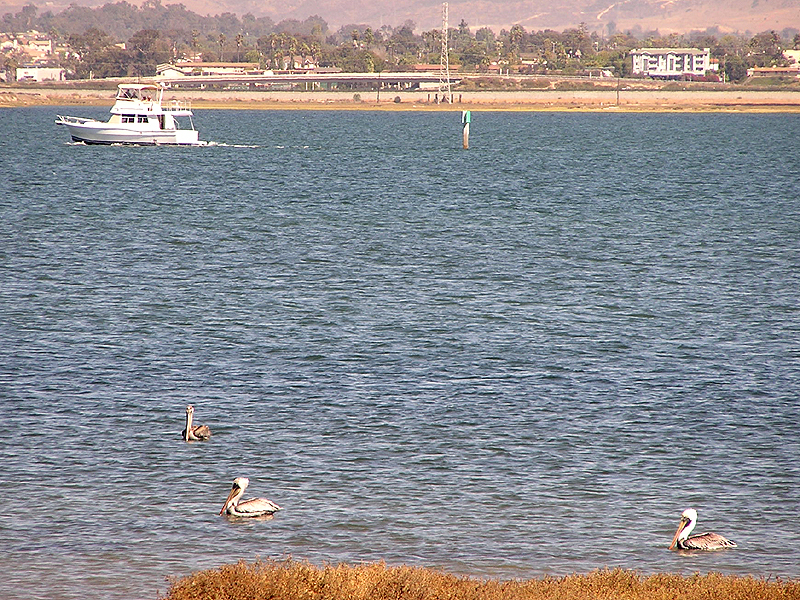 The bay side of the park offers views of San Diego Bay. Three pedestrian tunnels lead from the parking lots under the highway to the bay side of the park. (The bay side of the park is restricted to pedestrian traffic only. No vehicles are allowed in the tunnels or on the bay side.) The water in the bay area is usually warmer and calmer, perfect for swimming and sailing. Ramadas, tables, barbecue pits, and fire rings are available in the area. South of the developed area, there are one and a half miles of ocean and natural preserve. Strolling along the beach, visitors may see moon snail shells, cockle shells, and an occasional sand dollar in the sand. ~ Dogs are not allowed on the beach, in the tunnels, or on the bay side. ~ Dogs are allowed only in the day use and camping area parking lots. ~ All dogs must remain on a leash no longer than six feet in length. 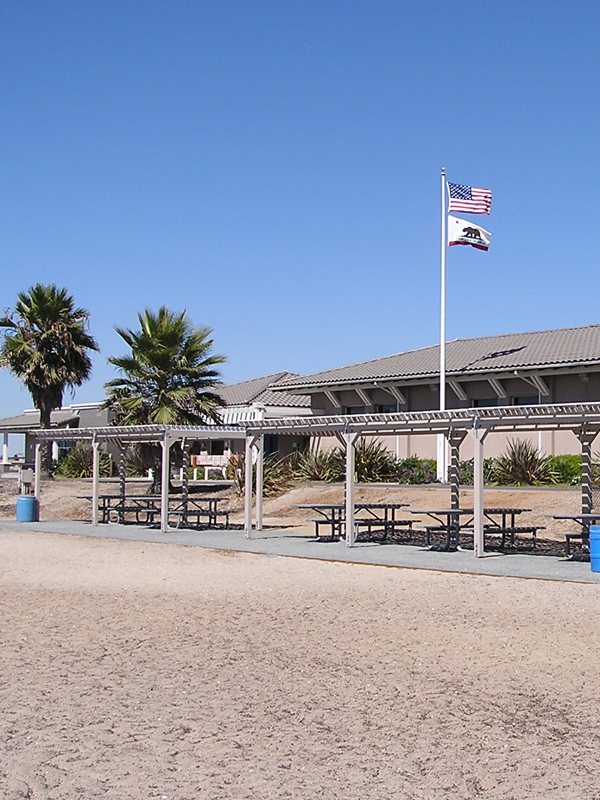 Through a unique collaboration with CA State Parks and the CA Department of Boating & Waterways, Southwestern College operates the Crown Cove Aquatic Center at Silver Strand State Beach. To learn more about CCAC programs and activities available to the general public and guests of SSSB, including courses and rentals, CLICK HERE.